Menapay is a nice looking idea, and one that can potentially make good use of blockchain technology. The team looks good, they have nice experience in relevant areas. The idea could be difficult to execute though as it's a tough market, but as I say they have a strong team and a good vision. It seems that I am here to break the ice with the first expert rating on this interesting project. After taking a look over the Menapay project, I can see that they have the optimum number of team members and they look well prepared for the job. Their designated team also passed the KYC on Ico Bench and this is a good sign. Their vision is original and courageous as they planning to be the pioneers of blockchain-based payment gateway in the Middle East and Africa. After my previous review, their team has contacted me and sent the full WhitePaper and product updates for me to analyze in order to provide a proper rating. I have read their WhitePaper, it seems there are some errors with the WP they have uploaded on ICOBench and they are working on fixing them. The WP on their Website is also working now. I can always be happy when I can help projects better themselves. 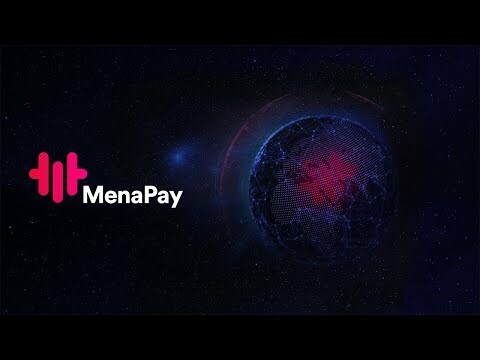 After analyzing the information they have provided me, I am confident that Menapay is a project with a great potential and an outstanding product that will come to the market in the future. Their team also proved their dedication by spending time to provide me all the required information. So a big thumbs up for that! The company's vision is extremely positive and they're aspiring towards something really great. It doesn't sound like an easy feat to achieve, but these are specifically the kinds of projects that I personally feel are instrumental in our hope for institutional and enterprise-level, or even government-level adoption tomorrow. So this is definitely a project that would do a lot of good if successful. The team seems strong enough to take on the task, but only time will tell how effectively. With regards to the product, this is, at the end of the day, just a cryptocurrency. And there's no prototype currently available for how effectively and efficiently it can be used. Will be awaiting updates here. Do wish you the best of luck. Overall, this looks like a well thought out, organized effort and it would be good to see this succeed. The company's goal is clear that it aims to create a syariah compliant blockchain based payment gateway to cater to muslim customers and islamic countries as it complies with islamic finance rules. This helps boosts the usage of cryptocurrencies in daily life transactions and build a cashless society. They have a great team with a lot of experience and a good set of advisors. This project is pretty interesting. The team is really big, which is a really good sign. The idea is decent, but it'll be very tough to achieve adoption. Also, there is no product to look at the moment, so I'll update the rating when the app is made.